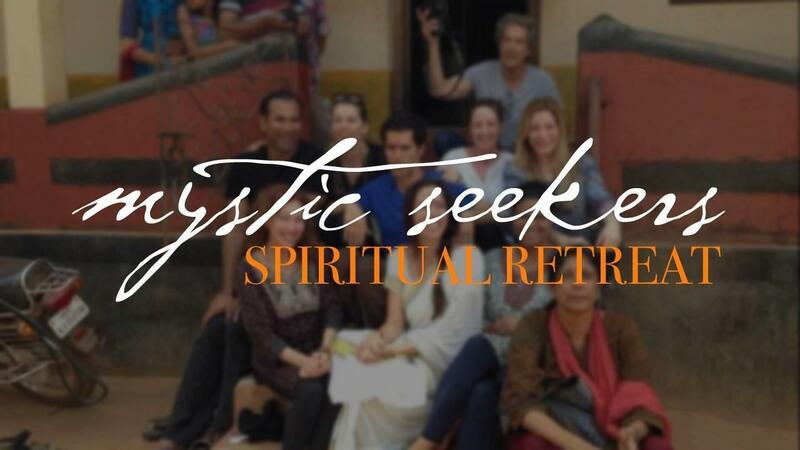 Yogi Cameron: And this is Inspire Living. 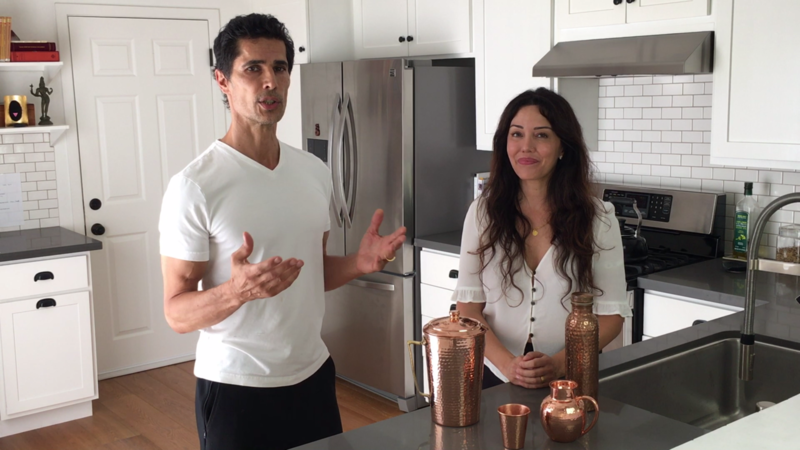 We're going to take you through the multitude of benefits of copper water. There's too many to talk about, but we're going to take you through a few of them today. Before that here are some copper vessels and what they look like. This is a pure copper vessel. You want to buy a pure one because the copper plated ones, they're a little bit cheaper but they don't last very long and then they can rust as well. Yogi Cameron: Then the copper can sit in its own vessel for days and days and days. It's always great. The other thing I want to tell you about, it will go a little bit black inside. Don't worry about that. It doesn't mean you need to clean it or anything. It's just the way pure copper is. Yogi Cameron: Then we have a little mini me version where you can put by your stand when you go to sleep and drink that during the night if you want..
Yogini Jaima: This one's mine. You can see it's aged, so a little patina happens. You can totally clean it and make it shiny again. I'm okay with it. This is my copper water on the go vessel. Yogi Cameron: You see her carrying that into the yoga studio. Yogi Cameron: What are the benefits. It's detoxifying. That's one of the major things, and it's antimicrobial. What it does is when it goes into your system it balances as it goes along. As soon as it hits the stomach, the PH balance, the acidity, it balances that. It balances all elements. 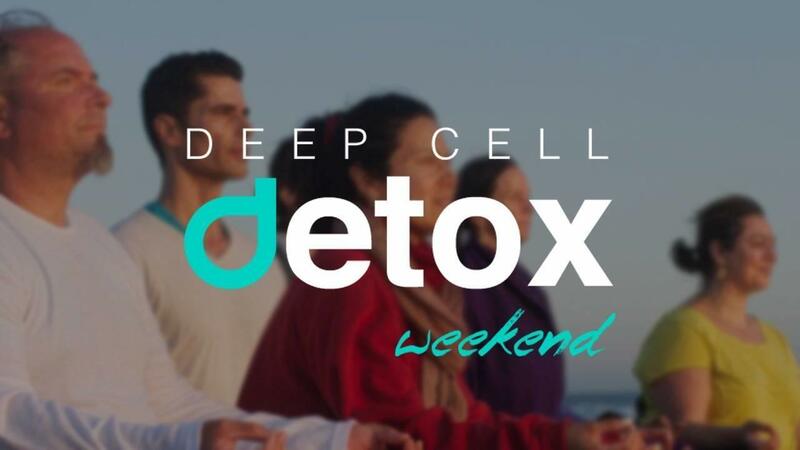 Yogi Cameron: Then your kidneys and your liver, also they're the filtration system in the body. They get a detoxification as well because they're full of toxins. Yogi Cameron: There's many, many other things. Your blood pressure will go down. Your thyroid gland will get balanced as well. Those are some of the benefits of copper. Yogini Jaima: I'll talk to you about the girl benefits of copper. I love all of those benefits, and then I love copper because this is like a bottle of the fountain of youth right here. It is known for its anti-aging properties because it is loaded with anti-oxidants. It helps fight free radicals, which is one of the main reasons that we get those fine lines. Then it helps produce healthy new skin cells so you can have beautiful looking skin by drinking copper water in the day. Because of it's really high antioxidant properties that it contains, it's also known to fight cancer. Yogini Jaima: Copper is also good for weight loss. It actually breaks down fat in the body and helps to eliminate waste. Because of its anti-inflammatory properties, I think this is important to mention as well, is that it helps with joint pains and arthritis. I also have my grandmother, she's 92, drinking copper water. 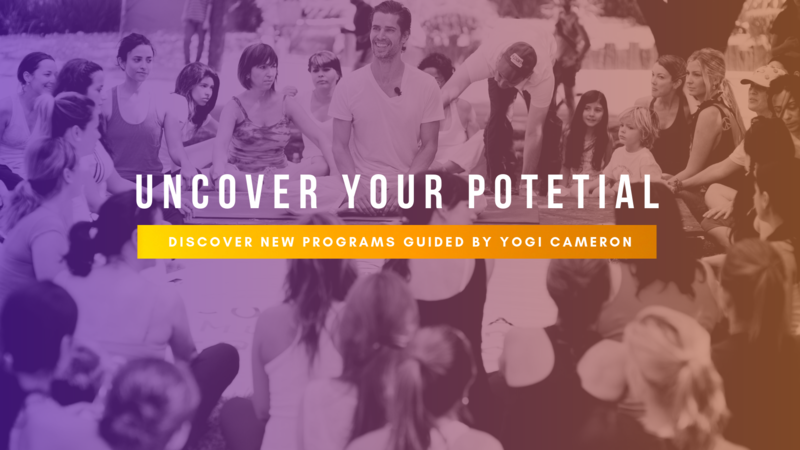 Yogi Cameron: Get into it. Get yourself a pure copper pot. Start to drink it and start to benefit from it. More than that, start to see what the effects are because over some months and years you'll really see a difference in your system by just adding this to your lifestyle. Yogini Jaima: Like anything, two or three cups is sufficient, don't overdo it. Yogi Cameron: And don't pour hot water into it. We could go on and on here. Don't pour hot water in here 'cause it won't do well in a copper pot. Yogi Cameron: I hope you buy a good one. They're very available online. You can find great ones. Buy yourself one. Namaste. Hope you benefit from it greatly.